It is known that Markov jump systems have finite modes which may jump from one to another at different times and between different modes. A system with “jumping” character may be modeled as a hybrid system, and the parameter jumps among different modes can be seen as discrete events . Until now, only a little results on Markov jump DOSs have been obtained. Stability analysis of Markov jump DOSs over networks has been given in . By letting each intermittent interval satisfy the corresponding Markov jump process, a class of DOSs has been used to describe NCSs in . A problem on robust stabilization has been concerned of singular Markov jump systems with time-varying delays and parameter uncertainties . 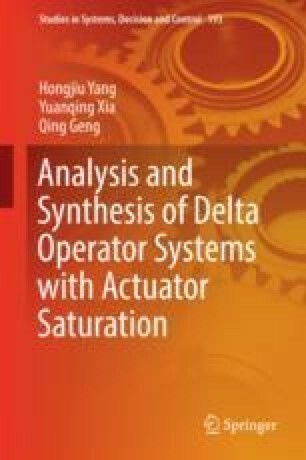 There are also several results along a line of actuator saturation for the Markov jump systems.